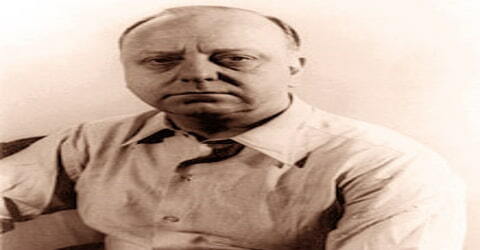 Virgil Thomson – American composer and critic. 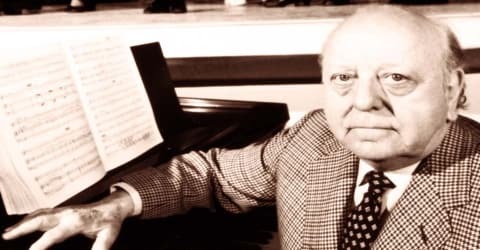 An American composer, conductor, and music critic whose forward-looking ideas stimulated new lines of thought among contemporary musicians, Virgil Thomson was born on November 25, 1896, in Kansas City, Missouri, U.S. He was instrumental in the development of the “American Sound” in classical music. He has been described as a modernist, a neoromantic, a neoclassicist, and a composer of “an Olympian blend of humanity and detachment” whose “expressive voice was always carefully muted” until his late opera Lord Byron which, in contrast to all his previous work, exhibited an emotional content that rises to “moments of real passion”. Known for his witty style and occasionally cutting criticism, he, along with Aaron Copeland, was one of the first American composers to try and develop a distinctly American sound. Thomson melded influences like traditional Southern hymnbook harmonies and speech patterns (yes, the way people talk!) into orchestral and choral music. ‘I look at you and write down what I hear,’ is how he described it. He composed in many formats, including operas, film scores, concertos, choral works, and short piano pieces. He was funny and infused his personality into his music. 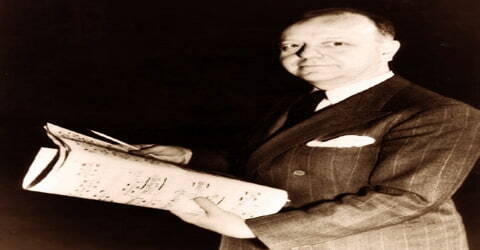 Virgil Thomson was born on November 25, 1896, in Kansas City, Missouri, the U.S. He began playing piano at the age of five and began taking lessons with local teachers at age 12. He studied organ from 1909 until 1917, and again in 1919. As a young man, Thomson worked as an organist in his family’s church of Calvary Baptist, as well as in other churches throughout Kansas City. After attending Central High School from 1908 to 1913, Thomson enrolled at a local junior college, where he studied from 1915 to 1917, and again in 1919. During World War I, Thomson enrolled in the Army, where he served in a field artillery unit. He also received training in radiotelephony at Columbia University and in aviation in Texas. The war ended shortly before Thomson was to leave for France. In 1925, in Paris, Virgil Thomson cemented a relationship with painter Maurice Grosser (1903-1986), who was to become his life partner and frequent collaborator. 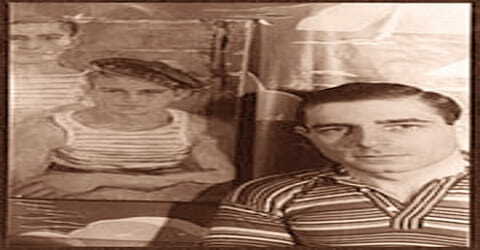 Later he and Grosser lived at the Hotel Chelsea, where he presided over a largely gay salon that attracted many of the leading figures in music and art and theater, including Leonard Bernstein, Tennessee Williams, and many others. Thomson also encouraged many younger composers and literary figures such as Ned Rorem, Lou Harrison, John Cage, Frank O’Hara, and Paul Bowles. Grosser died in 1986, three years before Thomson. His most important friend from this period was Gertrude Stein, who was an artistic collaborator and mentor to him. Virgil Thomson spent the summer of 1921 touring Europe with the Glee Club. As the tour wound down, Thomson decided to remain, and under a John Knowles Paine Traveling Fellowship, he studied organ with Nadia Boulanger and counterpoint privately. During this time, he continued to compose and had his first critical writings published by the Boston Transcript. Upon his return, the U.S., Thomson returned to Harvard and became organist/choirmaster at King’s Chapel in Boston. After his graduation from Harvard in 1923, a grant from the Juilliard School allowed him to go to New York, where he studied conducting with Chalmers Clifton and counterpoint with Rosario Scalero. Thomson wrote in a variety of styles, including Gregorian chant, variations on Baptist hymns, and neoclassicism, often combining traditional forms with contemporary techniques, marked by careful craftsmanship. The greatest influence on him was that of Erik Satie, and it found expression in clarity, simplicity, and humor. In 1928, famed author Gertrude Stein asked Thomson, who was a young unknown at the time, to compose music for her opera Four Saints in Three Acts. The result is definitely unusual. An all-black cast plays the roles of European saints in an opera without much of a plot. Thomson’s music playfully mixes styles, including Baptist hymns, folk tunes, ragtime, and marches. You could think of it as sort of like sampling the popular and familiar music of his day pretty similar modern hip-hop artists or EDM producers, actually! The score is rather straightforward and doesn’t contain complex harmonies or atonality (notes that clash rather than blend), unlike a lot of contemporary serious music of the time. Opinions are divided, but it signals where Thomson’s composing would go. Their collaboration resulted in the premiere of the groundbreaking composition Four Saints in Three Acts in 1934. At the time, the opera was noted for its form, musical content and the portrayal of European saints by an all-black cast. Years later in 1947, he collaborated once again with Stein in his provocative opera The Mother of Us All which portrays the life of the social reformer Susan B. Anthony. Thomson incorporated musical elements from Baptist hymns, Gregorian chants, and popular songs into both scores while demonstrating a restrained use of dissonance. During the late 1930s, Thomson returned to a more nationalistic vein with the scores to two films, The Plow That Broke the Plains and The River, and a ballet, Filling Station. His operas are among his best-known works; Four Saints in Three Acts (1928) and The Mother of Us All (1947), the latter based on the life of Susan B. Anthony, boast libretti by Thomson’s close friend Gertrude Stein, an avant-garde American writer. A later opera was Lord Byron (1968), which combined and unified Thomson’s various compositional styles. His instrumental music includes two symphonies, several symphonic poems, and concerti for cello and flute (composed 1950 and 1954, respectively). Thomson also composed music for several films. His scores for the documentaries The Plow That Broke the Plains (1936) and The River (1937) evoke rural America and lives of hard work and desperate times, effectively using a diverse range of music, from cowboy songs and folk tunes to religion pieces. But he did possibly his best work on the score for another documentary, Louisiana Story, which won a Pulitzer Prize for music in 1949. It’s the only film score ever to be honored. The movie is about a vanishing way of life, and Thomson melds elements of Cajun-Creole and French folk music with Sacred Harp and Southern Harmony tunes (both sources were early hymnals created to enable people who couldn’t read music to sing). It’s an effective piece of work, at times, haunting while in other sections jaunty, and worth a listen. Thompson incorporated folk melodies and religious musical themes into the film score and subsequently composed an orchestral suite of the same name which was recorded by Leopold Stokowski and the Hollywood Bowl Symphony Orchestra in 1946 for RCA Victor (# 11-9522,11-9523). In 1938 he also formed a collaboration with Lorentz and the operatic singer Thomas Hardie Chalmers on the documentary film The River for the United States government’s Farm Security Administration. Thomson composed an orchestral suite based upon the score which was premiered by Eugene Ormandy and the Philadelphia Orchestra in 1949 to widespread critical acclaim. In October of 1940, Thomson became music critic for The New York Herald Tribune. Although he continued to compose during his 14 years at the post, Thomson established himself as one of the foremost critical writers of the era. His writings, which are characterized by a brilliant and at times deeply provocative, but always highly opinionated whit, furnished material for three anthologies; The Musical Scene, The Art of Judging Music and Music, and Right and Left. In 1947, Stein and Thomson collaborated on another opera, The Mother of Us All, based on the life of suffragette Susan B. Anthony. This score is more mature (the elements flow together more completely) but still blends influences like circus marches, waltzes, traditional rural folk tunes, and trumpet calls. It evokes a period of time in American history, which is what Thomson wanted to do. Following the publication of his book, The State of Music, Thompson established himself in New York City as a peer of Aaron Copland and was also a music critic for the New York Herald-Tribune from 1940 to 1954. His definition of music was famous “that which musicians do,” and his views on music are radical in their insistence on reducing the rarefied aesthetics of music to market activity. He even went so far as to claim that the style a piece was written in could be most effectively understood as a consequence of its income source. Throughout the 1950s and 1960s, Thomson traveled extensively as a guest lecturer, or a conference participant, all the while continuing to conduct, write articles, and compose. Thomson wrote his most ambition score for his last opera, Lord Byron in 1968. Unlike his earlier work, this music is based on Scottish and English folk tunes and sacred hymns. It’s very emotional but not all music scholars view it as successful because it comes across as an eclectic mix rather than a cohesive whole. In 1969, Thomson composed Metropolitan Museum Fanfare: Portrait Of An American Artist to accompany the Museum’s Centennial exhibition “New York Painting And Sculpture: 1940-1970.” Thomson became a sort of mentor and father figure to a new generation of American tonal composers such as Ned Rorem, Paul Bowles and Leonard Bernstein, a circle united as much by their shared homosexuality as by their similar compositional sensibilities. Women composers were not part of that circle, and one writer has suggested that, as a critic, he selectively omitted mention of their works, or adopted a more passive tone when praising them. Thomson was a music critic for the New York Herald Tribune (1940–54) and published several collections of penetrating perceptive critical articles. 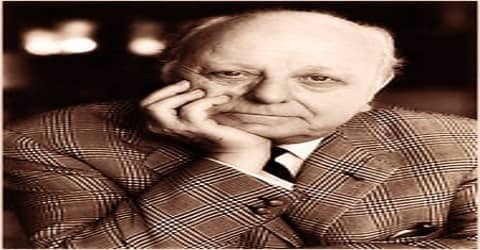 His autobiography, Virgil Thomson, was published in 1966. Among his other books are Music Revisited, 1940–54 (1967), American Music Since 1910 (1971), and Selected Letters of Virgil Thomson (1988). In 1949, Virgil Thomson was awarded the Pulitzer Prize for Music for the score to the film Louisiana Story. He was a recipient of Yale University’s Sanford Medal. In addition, the Kennedy Center Honors award was bestowed upon Thomson in 1983. In 1988, Thomson was awarded the National Medal of Arts by President Ronald Reagan. 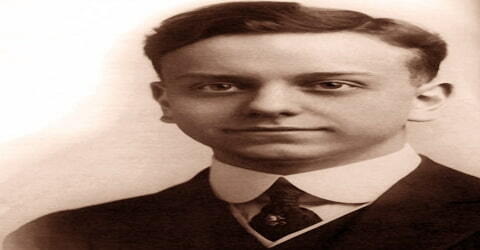 He was a National Patron of Delta Omicron, an international professional music fraternity. 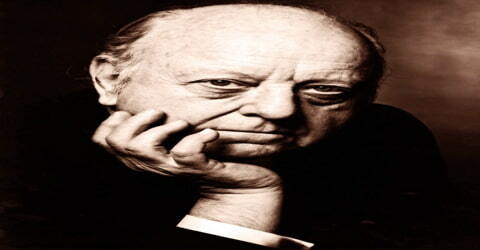 Virgil Thomson died on September 30, 1989, in his suite at the Hotel Chelsea in Manhattan, aged 92. He had lived at the Chelsea for close to 50 years.